Brand New custom made Nike zoom all out low with swarovski crystals. 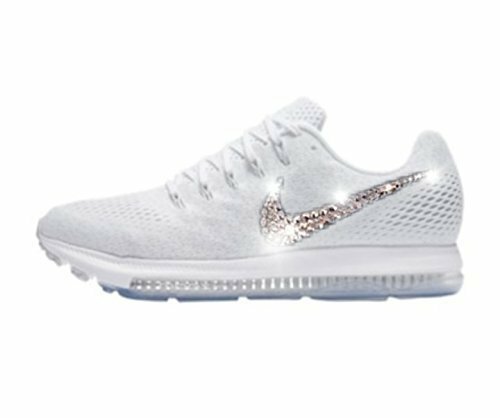 These Custom Bling Nikes are hand made, crystals are placed one by one with our thoroughly tested gluing system, making detail durable enough for daily wear. Bling out Nike shoes are classy and elegant and can be made for many different occasions. Glitter Nike Zoom All Out Low Women's Running Shoe is built for your fastest runs. It's lightweight yet supportive for comfort during every mile. An understated design takes you from your run to the rest of your day, no matter how quick you need to transition.